Beautiful little earrings from Mexico. 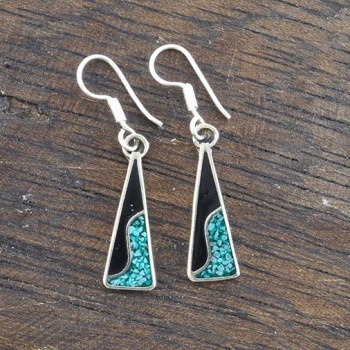 These eye catching drop earrings are made with crushed blue stone. Silver plated fixings and alpaca alloy metal earring.